Det 750 began at Saint Joseph’s University in 1951 and it is the only Air Force ROTC detachment in the Philadelphia area. The 23 crosstown universities at Det 750 provide a great mixture of campus settings, affiliations, and majors, along with respected educations. You will receive exceptional leadership training from the Detachment 750 staff as well. Det 750 was recognized as the best AFROTC detachment in the Northeast Region (among similarly sized detachments) by winning the 2011 High Flight Award. 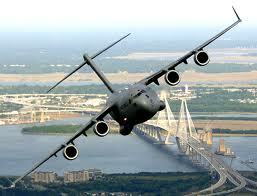 Air Force ROTC is the largest commissioning source of Air Force officers. Detachment 750 is one of 145 detachments across the country that directly commissions cadets to active duty. AFROTC strives to transform cadets from college students to effective Air Force officers through a leadership intensive curriculum with academic and experiential learning. Our cadets not only learn vital leadership concepts and theories in a classroom setting from experienced active duty Air Force officers, but they also apply those lessons through hands-on leadership on a weekly basis. 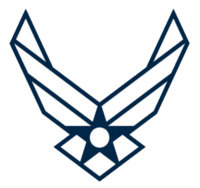 Each AFROTC cadet is required to attend three training events each week: a one (freshmen and sophomores) or three credit (juniors and seniors) Aerospace Studies academic class, Leadership Laboratory (LeadLab or LLAB), and Physical Training (PT). Freshman and sophomores can expect 5 hours of mandatory training each week, whereas juniors and seniors will have 5-6 hours. Very few weekend or evening commitments are required of cadets so that cadets can concentrate on their studies.